With all the gloomy weather lately, today I decided I needed comfort. So I put together a sporty chic look for hump day. I know what you are thinking – another day of grey and black. Yes. Ha! Ha! I sure do love my neutrals. But I am ready for the doom and gloom to end, so that my wardrobe can bloom into Spring with brighter colors. Anyway, I wanted to showcase a look that says, “You don’t have to sacrifice style for comfort.” This is for that person who thinks it is okay to wear yoga pants to work or pajamas to the grocery store. There is activewear out there that can offer you all the comforts of that workout gear with a little more panache. 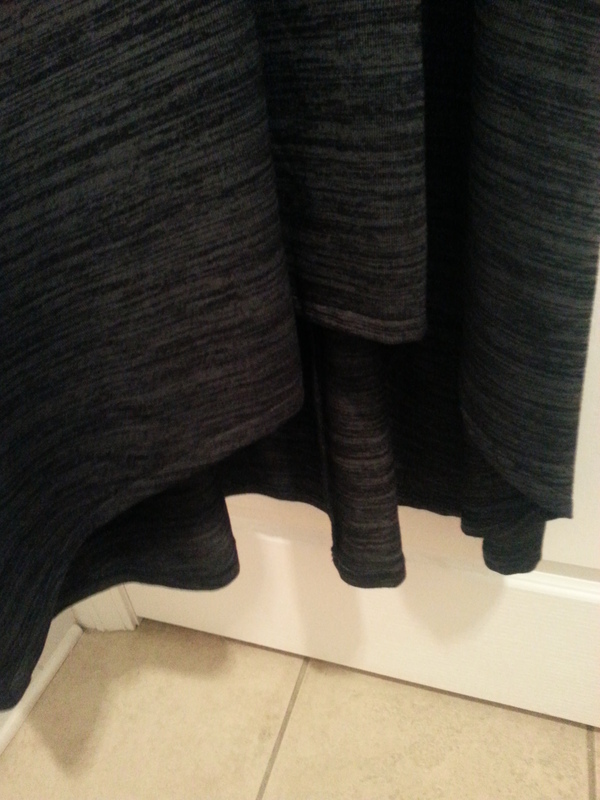 This skirt is breathable and moveable like a pair of my favorite yoga pants. Plus the hi-lo design is on trend. 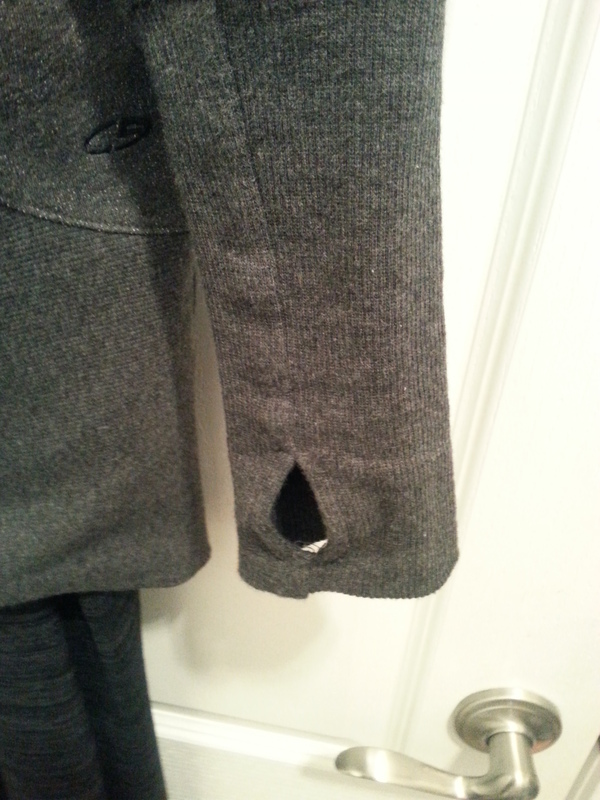 The jacket has a cool look with the longer sleeves and the thumb hole. Paired with a comfortable flat, you can do your grocery shopping, take the dog for a walk or even go into the office. So I want you to weigh in and tell me what you think. Should yoga pants and workout clothes be worn to the office? Yay or Nay?